Yes … I’m calling these pops s’mores … they have all the necessary ingredients … chocolate, marshmallows and graham crackers! I have not bought chocolate covered graham crackers in a looooong time … I didn’t realize that the size had changed … I thought they were larger! Maybe a different brand is a different size? I decided to go ahead and use them because they are the same size and shape as the Marshmallow Stackers that I used for Graduation Pops last year. Well, aren’t they the cutest things. Time consuming to assemble, I imagine, yet they look pretty easy. Esp. like the way you displayed them in a bowl full of M&Ms. I’m afraid mine would fall over too soon because I’d be into the M&Ms right away! I spent the most time holding the tassels in place … but still pretty fast overall. 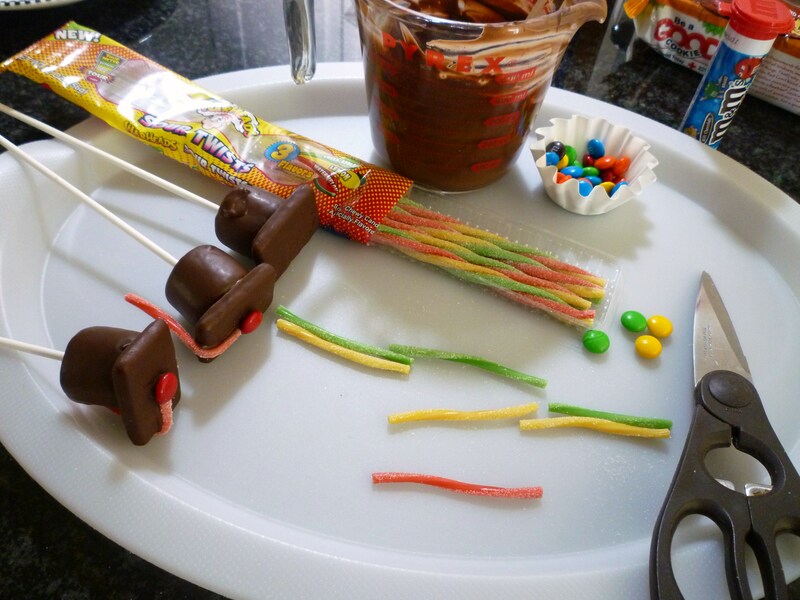 Perfect…I was looking for something to make for my son’s preschool graduation. Love it! Well Brenda you did it again, these are perfect for the grads parties and yummy too. Tbese are great! Love them! So clever and so fun! These are cute! They’re a bit different from the plethora of reeses cup hats I’ve been seeing recently. Refreshing! Hello! 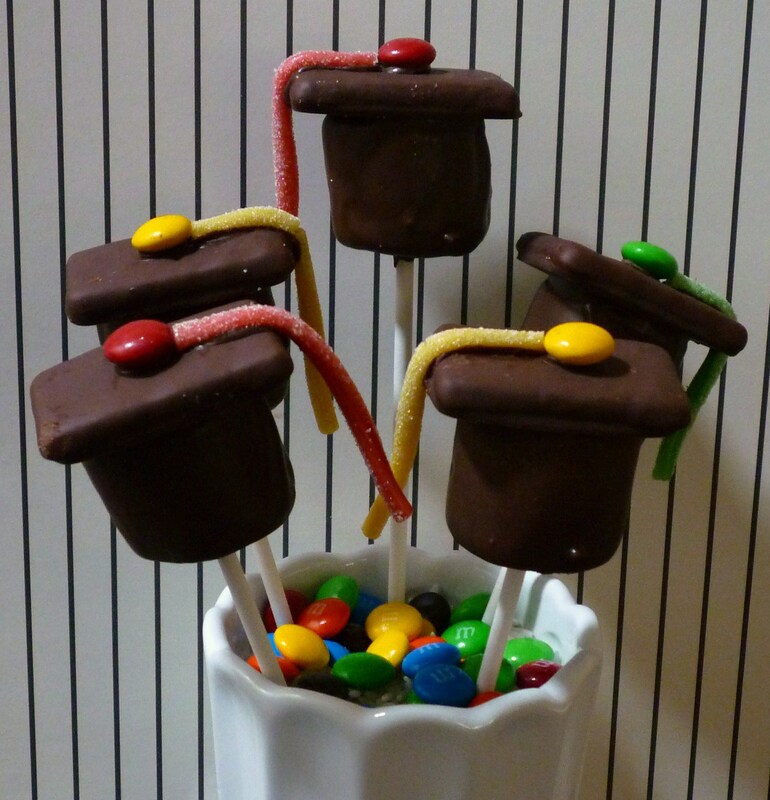 These are such a cute idea, and I just recently made these for a graduation party!! However, my sticks had chocolate on them from where I dipped the marshmallow. 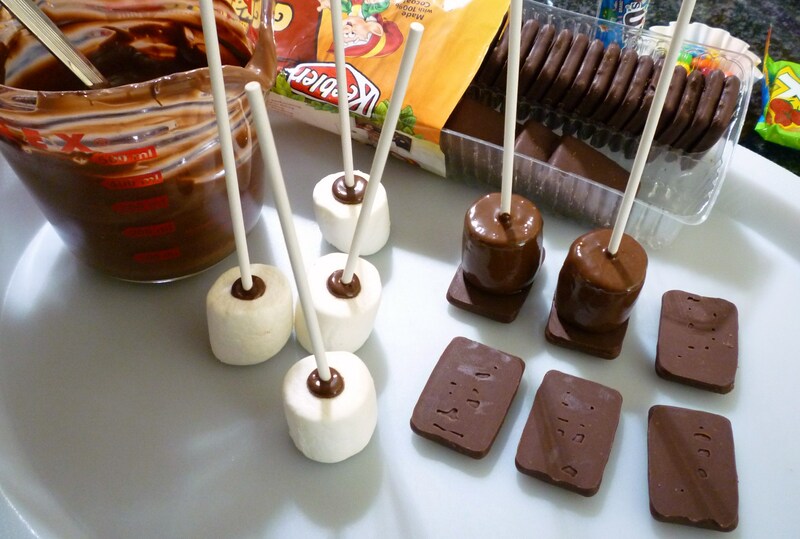 How did you dip your marshmallows in the melted chocolate to not get any chocolate on the sticks? i made these and they were a hit. 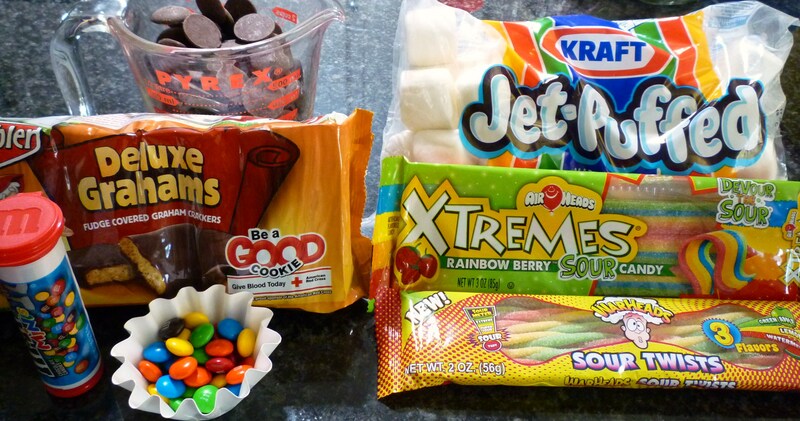 My husband had bought the extra large marshmallows – not a good choice, too top heavy and doesn’t fit graham cracker….- I used the Airheads Xtremes for the tassle and just cut them in 1/2 length wise and shortened them enough to hang over but not too long. Very cool. Thanks for the idea….. Thank you Dawn ;). I am so happy that you had success, despite the hubby boo-boo! Hi, came a cross your tutorial and decided to make these for my son’s preschool graduation party. Do you think I could make these the night before and keep them in the fridge? (The party is at 11am on Wed and I was planing to make them tomorrow night). I’m affraid they will “sweat” once I pull them out from the fridge and fall apart… Thank you in advance!